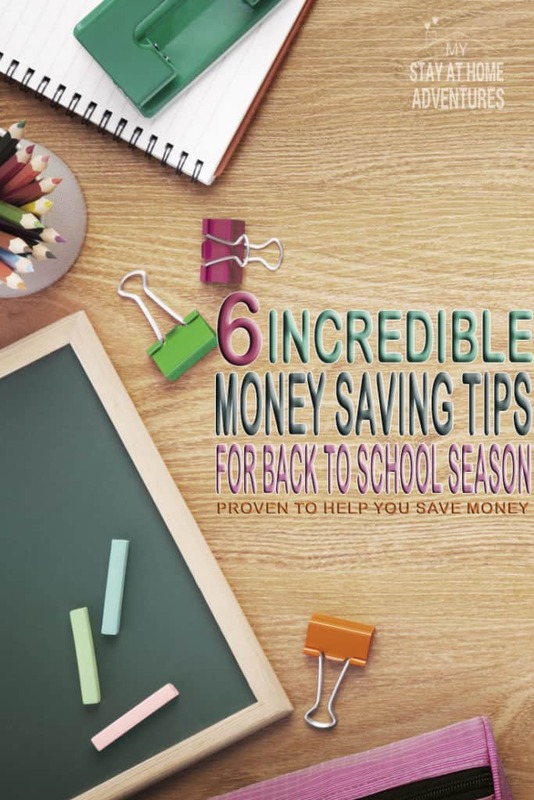 Looking for the best money saving tips this back to school season? The truth is that you don't have to break the bank when it comes to back to school shopping and today we will help you with these money saving tips for back to school season. In 2017, it is estimated that back to school shopping will be growing by 4.0% over 2016! An estimated $857.18 billion in sales during the month of July and August of 2016 alone! However, don't let the numbers fool you because back to school shopping season is a significant expense for some families. Americans spend billions of dollars during back to school alone as you read above. Schools are requiring more than just pencils, pens, and papers; they need electronics which can bring the cost of back to school up. Add back to school clothing, sports, and lunch, and we are ready to cry as we see our hard earned money go. 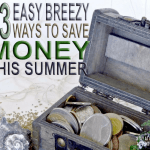 Finding ways to save money is essential, I know it is for me, during this back to school season. I have gathered some of the best money saving tips to help you save money this back to school season that are painless and easy to do! If you are lucky enough to live in a state that offers Tax-Free Days, then please take advantage of those days. If you add all the cost of taxes alone, you will see the benefits of how much money you are saving during back to school shopping. However, some states have specific rules and regulations you must follow so, please make sure you check up with your state. I am trying to gather all the information for you below with the link to each state to help you out. Each week stores will have a weekly sale available with great deals. Looking at weekly sale ads is a great way to see if the items you need will be on sale. If you don't want to visit tons of store each week, you can always check with your local store to see if they compare prices with local competitors. What retailers am I referring to? 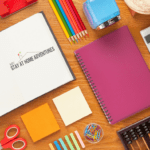 Retailers like Wal-mart, Target, Office Max/Depot, Staples, and so much more are the places to get your children’s back to school merchandise. The fact is that coupons to save you money. Whether you are using manufacturer coupons or store coupons you can score big savings when you use coupons. For the latest manufacture coupons always check here and here and print the coupons you need. Remember to print your favorite coupons as soon as possible as they may be gone before you know it. If you have a smartphone or tablet, you might be able to use rebates apps that will give you rebate on selected merchandise. These apps are not only for groceries but for back to school as well. Take advantage of these BTS promotions to save money. There are many rebate apps out there, below is a list of my favorites and must-have apps that will help you earn money. If you are tight on money why not buy used clothing. Many stores sell gently used clothes that are in great condition and even online stores like ThredUp sell amazing used clothing at a great price. Shopping online is amazing and saves you time and money. Again, with back to school season full force, you can score great savings on BTS merchandise. You also can score big when you use sites that pay you to shop. 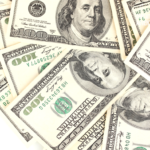 When you go through third-party sites, like Ebate or Shop At Home, you can get rebates as well. Shopping online can save you more money than going to the store. Recently, many online sites do have groceries available, and you can score additional savings. You can save big this back to school season by following these simple steps. Remember to also have a back to school budget set as well as a back to school list ready when you head out to shopping this back to school season. 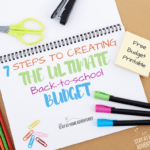 For more Back To School, Saving Guide click here to read a helpful post on how to make this back to school season a financially stress one! What are your best money saving tips for back to school? Its great tips. I love saving money, my son was schooling next year. 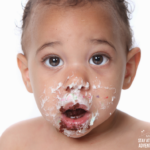 these tips was really helpful to all mom’s thanks for sharing your tips. Anytime! And thank you for taking the time to comment, Nikki! Me too Femme, me too 🙁 I remember it was like Christmas when I worked retail. I love Ibotta – it’s so easy to use. I forget to clip actual coupons all the time, so at least I can still check out what Ibotta has coupons for once I’m in the store. I love Ibotta too! I think out of all the apps it is the best to get cash and when you have a team it’s even better. Great tips! I don’t use any rebate apps but I’m seriously considering signing up for some because I see them recommended everywhere. 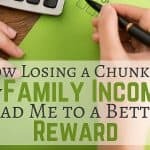 Ibotta is so simple and a good way to earn extra cash. What I love is that its items we buy like fruits, and milk and such. You should give it a try not cutting coupons at all. I was surprised when I received my nephew’s school list and I had to sit and find 4 folders of this color and 4 of this one. I never received such a long and detailed school list ever. Thank you for stopping by. thank you for sharing a tips! i usually grab for the sales here in our place, and using a coupon for discounts..and sometimes i use to buy in a bulk for a less amount of prize then i will store it for the next school year..